“I see a lot of hair loss patients,” explains Dr. Behnam, founder and lead surgeon at Dermatology & Hair Restoration Specialists. “A lot of them want hair restoration, but unfortunately most of the patients I see are not candidates for hair transplant[…] A lot of them are just experiencing rapid shedding or just have some thinning. Low level laser therapy, or LLLT, has been shown to stop the progression of hair loss by stimulating important cells deep within the hair follicle. Through ongoing LLLT exposure, hair follicles experience an increase in blood flow, which ultimately delivers more oxygen and natural growth factors directly to the root of each strand of hair. Hair loss experts like Dr. Behnam recommend patients undergo laser therapy for at least 30 minutes, every other day, to stop hair loss and encourage new growth. According to Dr. Behnam, the mobile and hands-free design of the Capillus272™ Pro is ideal. In a video interview, Dr. Behnam explains “[Capillus] has more laser diodes than in-office devices. People can place it on their heads and walk around and perform chores. To ensure exceptional patient results, Dr. Behnam takes microscopic digital pictures and hair follicle photographs before patients begin laser hair restoration with Capillus272™ Pro. Follow up photographs are taken every 3 months to monitor progress, helping Dr. Behnam create a personalized treatment plan that evolves with patient needs. 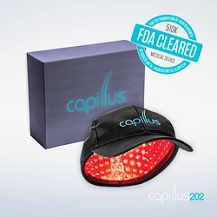 To learn more about treatment with the FDA cleared Capillus272™ Pro laser cap, readers are invited to visit http://www.thehairtransplantlosangeles.com.